The morning of Tuesday, November 5th, 2018, I awaken and immediately grasp for my phone like the conditioned millennial that I am. No different than every other morning, except this time when I open twitter, I’m greeted by a promotional video announcing Floyd Mayweather vs Tenshin Nasukawa for Rizin’s New Year’s Eve show next month. Hmm. 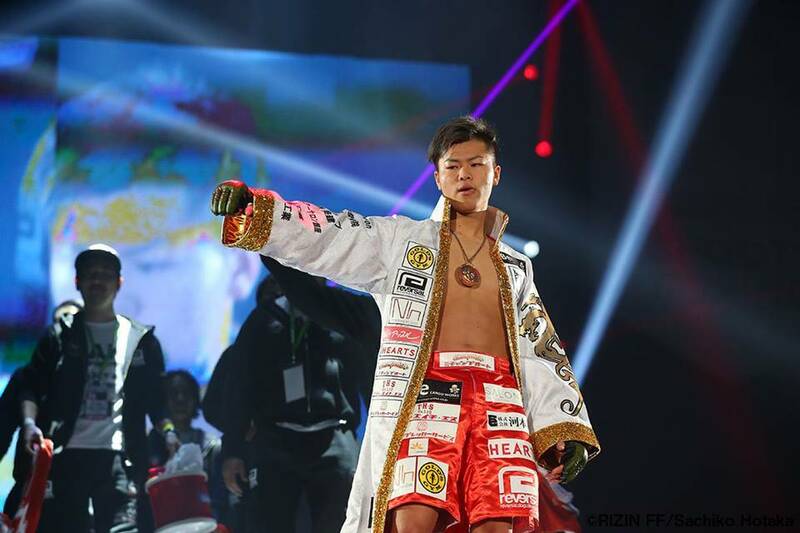 After blinking and wiping the sleep from my eyes I realised that I’d just seen a promotional video announcing Floyd Mayweather vs Tenshin Nasukawa for Rizin’s New Year’s Eve show next month. WHAT!? What is happening? I had assumed that the Demetrious Johnson/Ben Askren trade was the most unexpected thing that could happen this year, but I was wrong. We’ve reached an Event Horizon in remarkable developments. Okay, I’m exaggerating and I did recently re-watch Event Horizon (1997) ­and that’s a really good scene. (The film itself though – not as good as I remember it.) Anyway, we’ve ventured into unexplored territory this year in a blizzard with ear plugs and a blindfold and frankly it feels like anything could happen. There’re trades, and the Guardian are writing articles about the promotion that Bob Sapp and Gabi Garcia fight for. In all seriousness, Floyd’s eastern excursion is difficult to assess until we’ve seen the thing play out. Despite Mayweather’s insistence that he wants to “do something different”, its hard to believe this is an exercise in challenging oneself. And if it is an exercise in challenging oneself, then it would be a kickboxing match, but it won’t be, so it isn’t… Because Floyd would lose. Of course, that’s assuming that even if it was a kickboxing match – or even some kind of hybrid rules fight – that it wouldn’t be a mere exhibition with a, shall we say, “gentlemen’s agreement” between the two sides. Who are we kidding, if it is a boxing match – which it will be – it’s likely the same story. Sorry to be a Debbie downer but I do it out of love. If we’re being generous this is just a quick cash grab for Floyd “Money” Mayweather. If we’re our most cynical selves this is a business move for a potential branching out into Asia for Mayweather promotions. I, like you, want to see Floyd get tooled up in a kickboxing match by a tiny Japanese child. But if we expect anything remotely resembling a serious combat sports event then our New Year’s Eve will likely be ruined. But the Guardian did write an article about Tenshin Nasukawa and Rizin, so this is by no means a wash. Floyd Mayweather is a household name in most of the western world. Rizin is about as niche as it gets, and if Floyd can get more eyes on the wider world of MMA than I say you do you Floyd. Condemn Floyd as a hustler, or exalt him, but we can benefit regardless. 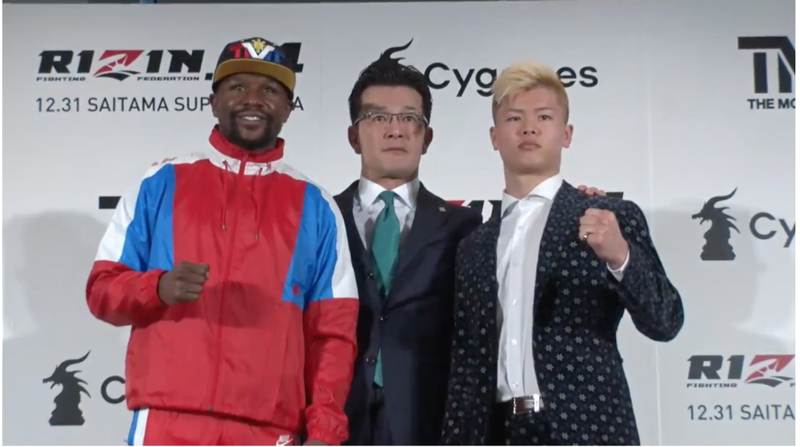 Also, what if Tenshin Nasukawa calls an audible knocks Floyd Mayweather out! ?